Did you ever wish you’d be like Charlie and win a golden ticket to visit a chocolate factory? Which chocolate factory would you like to visit? The Willy Wonka Candy Company has become a brand of candy and its real owner is Swiss consumer goods company, Nestle. Nestle is just one of the many large competing chocolate manufacturers in the world, with Mars Incorporated and The Hershey’s Company being other large manufacturers. Other well-known chocolate manufacturers are Kraft Foods and Lindt. Each of these companies has produced different chocolate brands that have become big among consumers. 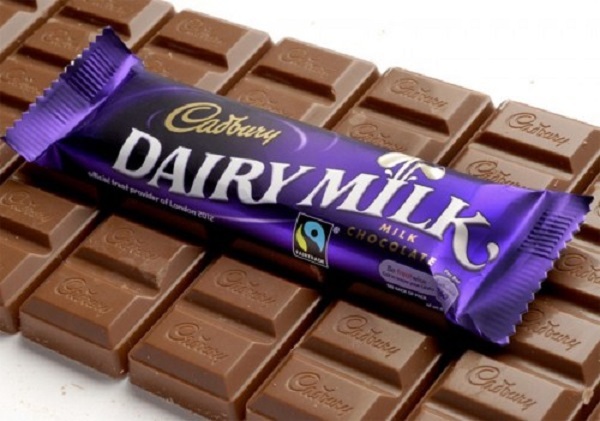 Here is a list of the top 10 bestselling chocolate bars in the world. You’d be surprise which company owns your favorite chocolate bar and which of among them owns the number one bestselling chocolate bar. Kit Kat is a chocolate covered four-finger wafer biscuit bar created by Nestle. However, it is licensed under the Hershey’s Company in the United States. Kit Kat was officially introduced in August, 1935. After it became successful in the United States and the United Kingdom, it was exported to other countries such as New Zealand, Australia, Ireland, Canada and South Africa in 1940. Nestle produces Kit Kat in 13 different countries including Japan, South Africa, UK, Bulgaria, United Arab Emirates, Turkey, India, Russia, Germany, Canada, Australia, China and Malaysia. Aside from chocolate, Kit Kat is also served in different flavors, sometimes in limited edition. Since 2000, Nestle has produced over 200 flavors like green tea, banana, crème brulee among others. 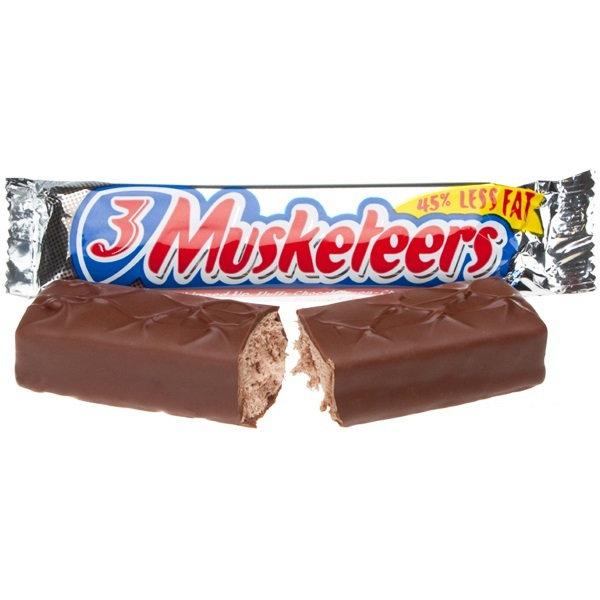 3 Musketeers is a chocolate-covered fluffy whipped bar produced by the global confectionery manufacturer Mars, Incorporated. 3 Musketeers is not for sale in other European countries and different versions and flavors have come out such as the 3 Musketeers Mint, Chocolate Brownie Bar, Truffle Crisp, Coconut, Hot Chocolate with Marshmallow and many others. The Milky Way Bar is manufactured by Mars, Incorporated with various versions in different countries. The American version is made of chocolate-malt nougat and covered in milk chocolate with caramel toppings while the European version has a nougat center with no caramel toppings. 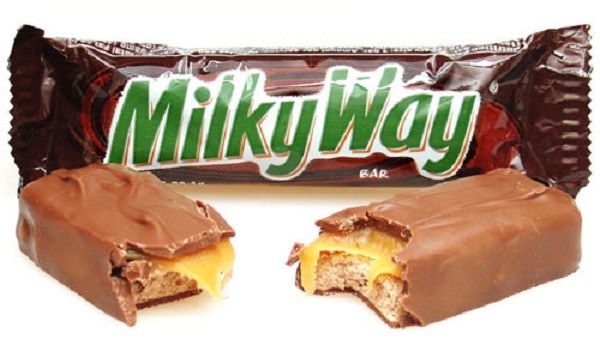 The Milky Way Bar was created by Frank C. Mars in Minneapolis, Minnesota in 1923. The chocolate bar has different calorie contents depending on the country. 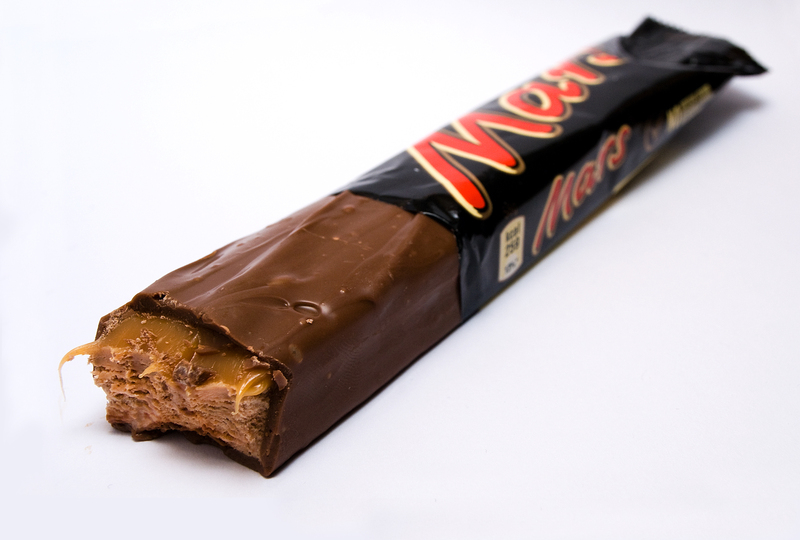 Mars is another chocolate bar manufactured by Mars, Incorporated. The chocolate bar has various versions in the United States, Canada and the United Kingdom. It was first manufactured in the UK in 1932 as the sweeter version of another Mars Incorporated product produced in the United States. The U.S. version of Mars was discontinued twice, first in 2002 and was re-launched in 2010 but was discontinued again at the end of 2011. There have been several limited edition variants of Mars released in different countries such as the Mars Lite, Mars Lava and Mars Fling, which is available in Australia; Mars Midnight, which has become a permanent release in Canada but was on limited edition in the UK; and the Mars Mini Eggs, which are available during Easter. Baby Ruth is an American chocolate bar manufactured by Nestle. It is made of peanuts, caramel and nougat covered in chocolate. Nestle also produced the Baby Ruth Ice Cream Bar and the Baby Ruth Crisp bars. Baby Ruth has been featured in several popular films like Caddyshack, The Goonies and Hellboy. Butterfinger is another Nestle product made from crisp and flaky peanut butter bar covered in compound chocolate. The Curtiss Candy Company invented Butterfinger in Chicago, Illinois in 1923. Nestle bought the Butterfinger and Baby Ruth bars in 1990 from Nabisco, the biscuit manufacturer which the Curtiss Candy Company was merged to. Nestle released other Butterfinger products such as Butterfinger Ice Cream Bar, Butterfinger Ice Cream Nugget, Butterfinger Crisp and more. 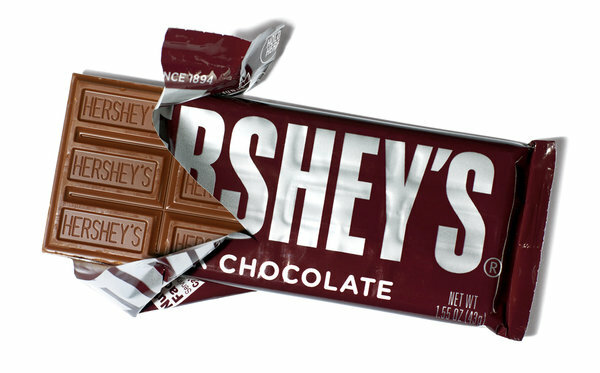 Dubbed as “The Great American Bar”, Hershey’s Chocolate Bar was first introduced in the 1900's. The Hershey Company founder, Milton Hershey, developed the processing, which is still a trade secret up to this day. Hershey’s Chocolate Bar became the first mass-produced chocolate in the United States and Canada. Over the years, the Hershey’s Company has produced a variety of bars with different flavors such as the Special Dark Chocolate, Cookies ‘N Crème, Krackel and other limited flavors. All standard-sized Hershey Chocolate Bars have 210 to 230 calories. The British confectionary company, Cadbury, is owned by Kraft Foods under its confectionary business, Mondelez International, the unit that is geared towards global snacks business. Cadbury is best known for its dairy milk chocolate. Its founder is John Cadbury, a philanthropist and businessman, who created the modern chocolate bar. He pioneered the emulsification process of chocolates to make it become solid. From 1865 to 2012, there have been numerous Cadbury chocolate products such as confectionery, beverages, biscuits and cooking products. Toblerone is a popular chocolate bar known for its triangular prism shape. It is owned by Kraft Foods, an American grocery manufacturing and processing company. Its name is a combination of the Italian word “torrone” (a type of nougat) and its creator Theodor Tobler. He created the Toblerone in 1908 in Bern, Switzerland together with his cousin Emil Baumann. 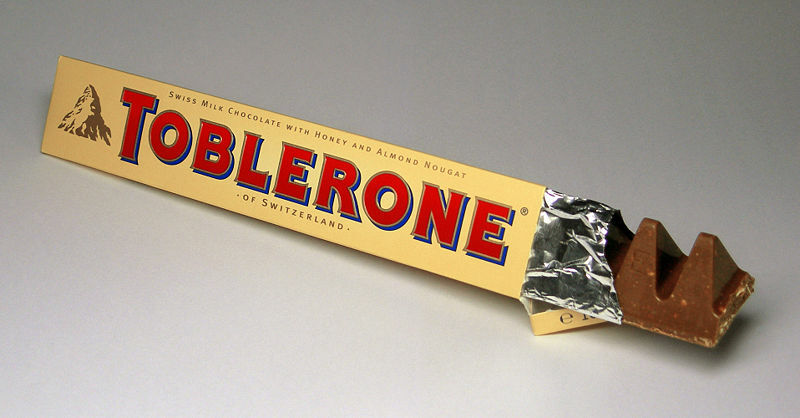 Over 11 variants of Toblerone have been produced since the 1970's including the dark chocolate in a green or black triangular box, fruit and nut, filled editions in a blue triangular box, which is a milk chocolate with a white chocolate center; crunchy almond, snow-capped with white chocolate peaks in a white/ silver triangular box and honeycomb crisp among others. Snickers holds the top spot for the bestselling chocolate bar in the world. Made by Mars, Incorporated, Snickers has annual global sales of $2 billion. The bar consists of nougat topped with caramel and peanuts covered in milk chocolate. It was named after the Mars family’s favorite horse when it was introduced in 1942. Since the 1970, it had numerous variations including Snickers ice cream bar, Snickers dark chocolate, Snickers almond, Snickers peanut butter and more.